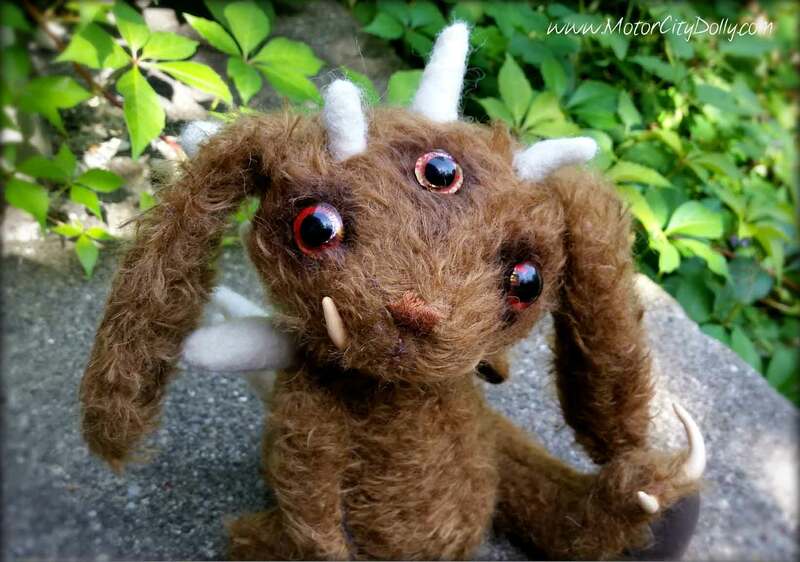 I’ve created this little mohair doll in the style of a vintage mohair teddy, using top quality chocolate brown Intercal mohair. 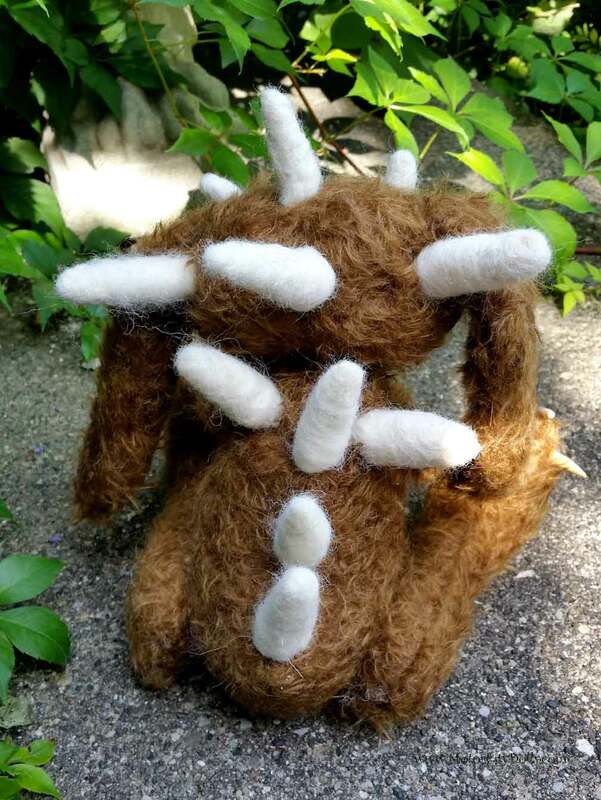 His limbs and neck are jointed and poseable, and he is stuffed with glass beads for weight and synthetic polyfil for hugging. 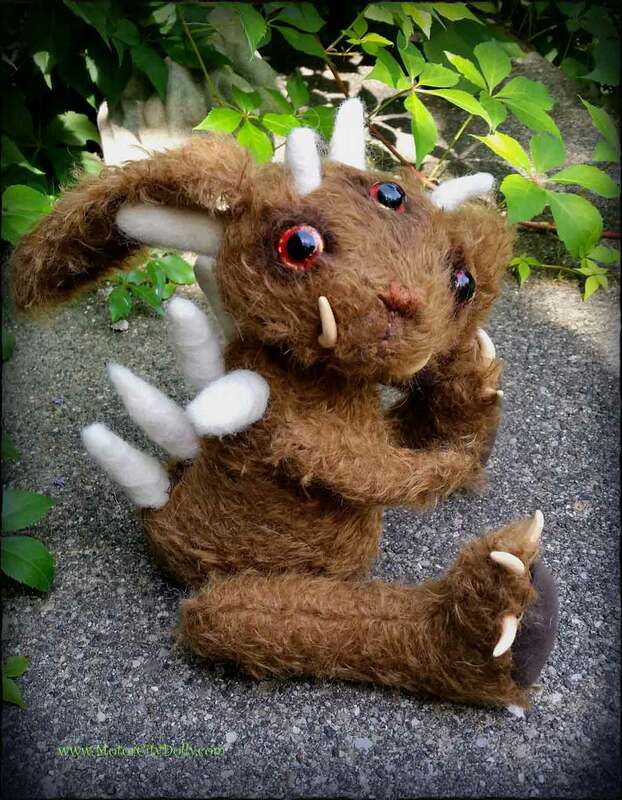 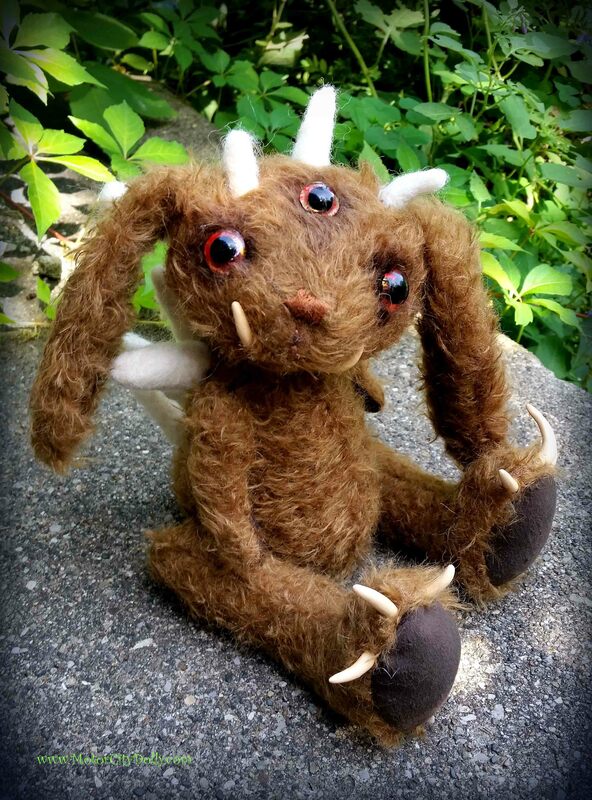 I hand painted his golden-red glass eyes, sculpted his claws, and needle felted his many spikes. 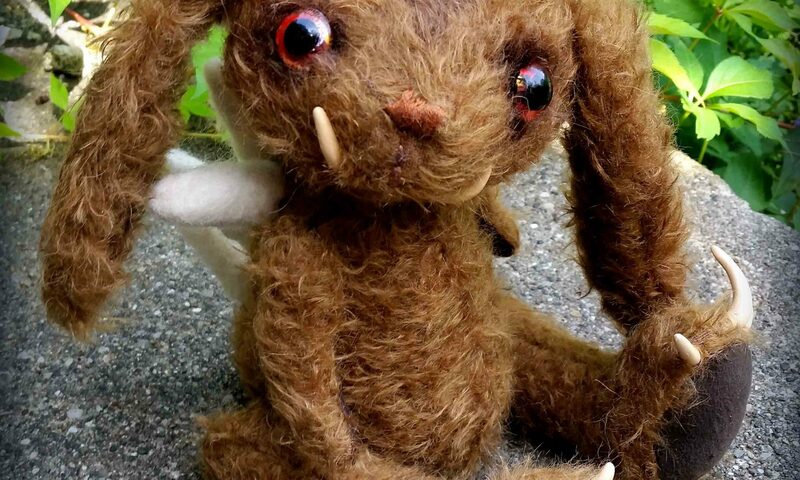 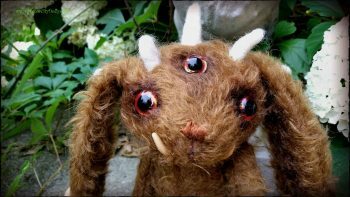 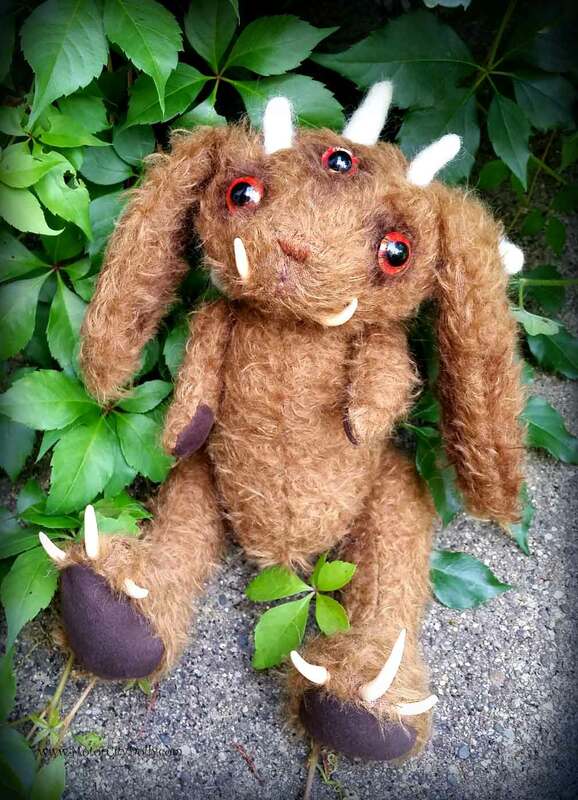 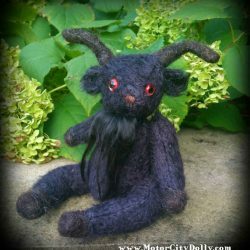 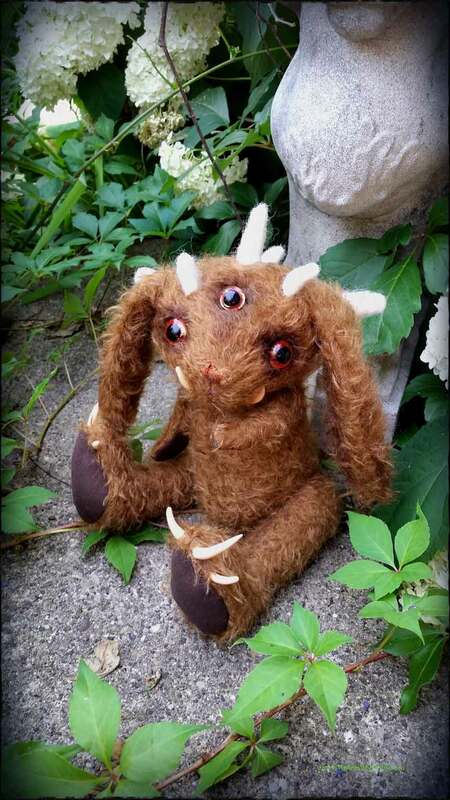 He is handmade and not perfect, but very adorable and made with love and attention to detail. 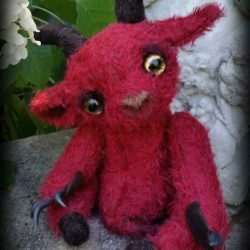 He is approximately 9″ tall when seated.